1.When was odisha formed as a separate state ? 3.Who was known as Bhumiputra ? 4.How many are there National parks in odisha ? 5.Name the two National parks of odisha? 6.In which year nandan kanan zoo was set up at Bhubaneswar? 7.what is the numbers of district in odisha? 8.what is the total area of odisha? 9.what is odisha share of the area of India? 10.what is the largest district of odisha? 11.Name the smallest district of odisha? 12.What is the total length of coast line of odisha? 13.Largest river of odisha ? 14.Name the highest mountain of Esternghat situated in odisha? 15.what is the name of airport of Bhubaneswar? 16.The golden triangle of odisha tourism is? 17.which place of odisha is known as kashmir of odisha ? 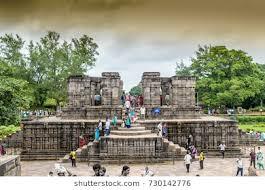 18.Name the monument of odisha which has been kept in world heritage site list? 20.Name the waterfall made by machhakund rive in koraput dist. 21.Rajarani temple is in which city ? 22.Baliharchandi temple is situated in which place ? 23.Name the highest waterfall of odisha ? 24.Name the two famous Hill's near Bhubaneswar ? 25.Which place of odisha is known as Tulasi khetara? 26.Name the longest dam of world situated in odisha ? 27.The only hide and seek beach of odisha is? 28.The largest fresh water lake of odisha is? 29.Which is the largest lake of odisha by area ? 30.what is the name of the waterfall near Harishankar temple at the foot of gandhamardhan hill in Bolangir district? 31.Name the near bhawanipatana in kalahandi dist.? 32.Name the famous Temple of lord shiva situated in koraput dist. near jaipur ? 33.The largest hot spring of odisha situated near khordha town ?